Pull on your tan tights and dust off your triple salchow – ’tis the season to fall on your bum again. 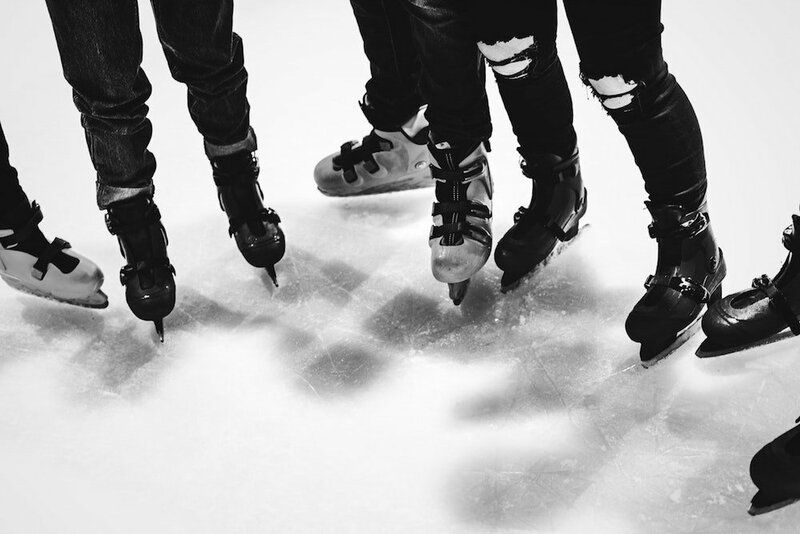 The pop-up ice rinks in Sussex and nearby are back and there’s plenty of fun to be had with or without kids, on or off the ice. Snacks to full meals, booze and even full party catering are available at many. A new rink is popping up in the southwest corner of Chichester’s Priory Park this year, with Christmas tunes as you take a spin. 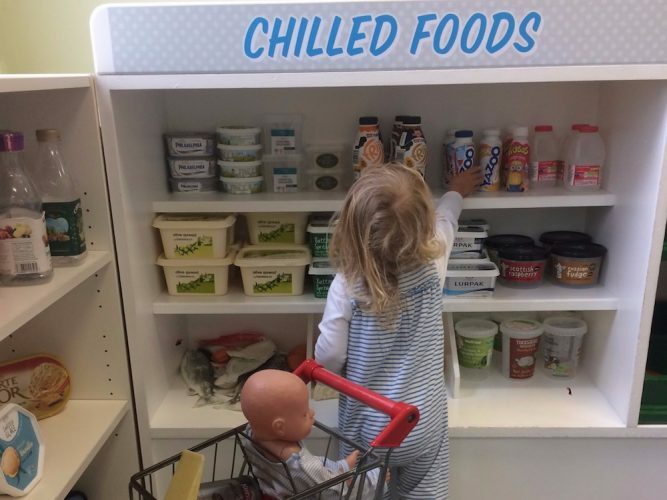 Fun additions include a festive soft play area for tots too young to skate and a photo booth. Beside heaters in the covered seating area outside you can tuck into a grilled Bavarian sausage, Fenwick’s Cafe cake, or indulge in some Copperpan Fudge. The bar will meanwhile serve up mulled wine, hot chocolate, beer and more. Keep an eye on social media for details of a new year’s eve event. 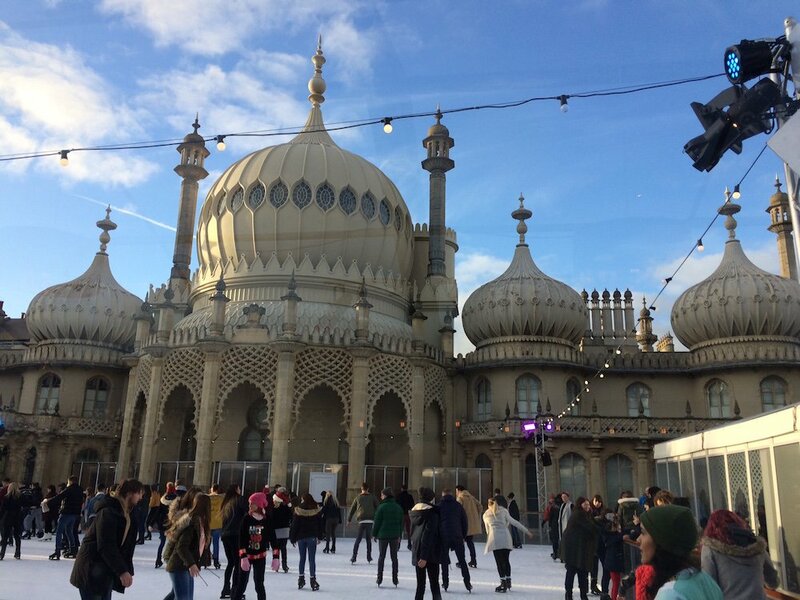 Colourfully lit by night, the onion domes of Brighton Pavilion back the city’s seasonal ice rink. The large covered cafe/bar terrace opens till late, with mulled wine and full meals available. There’s no charge for spectating from here if you just want the atmosphere. 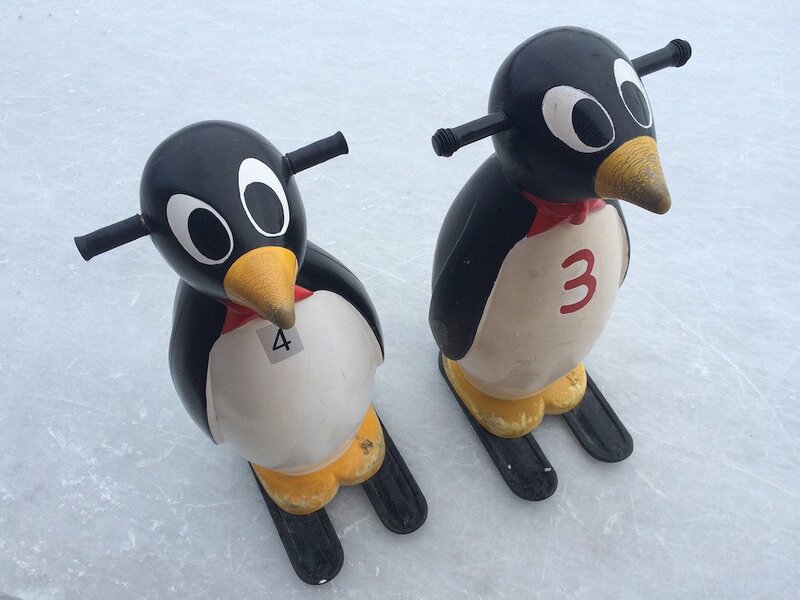 Kids can get their balance on a separate rink with penguin skating aids. 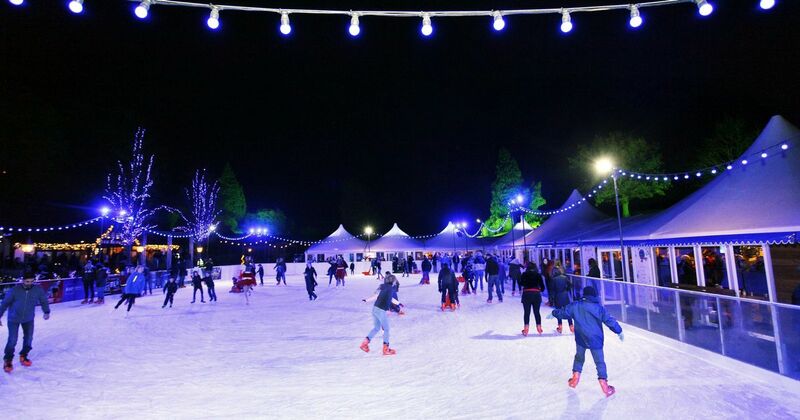 Calverley Grounds in Tunbridge Wells will once again be transformed into a winter wonderland. There’s Father Christmas on site to visit, Live Music Nights or adult-only Date & Skate sessions. 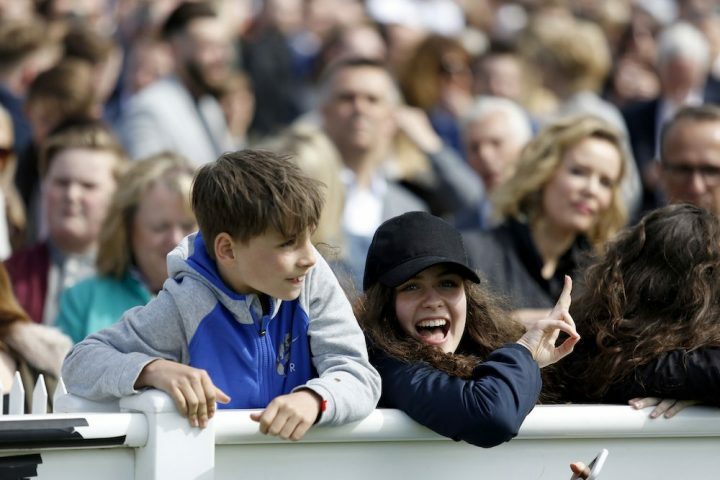 If all else fails you can enjoy the good selection of food and drink on offer in the spectator’s area. Families can spend quality time with Father Christmas in his cosy grotto, then skate on the ‘Magic Ice’ rink. There are fairground rides with unlimited turns and the chance to toast marshmallows and making s’mores at the fire pit. 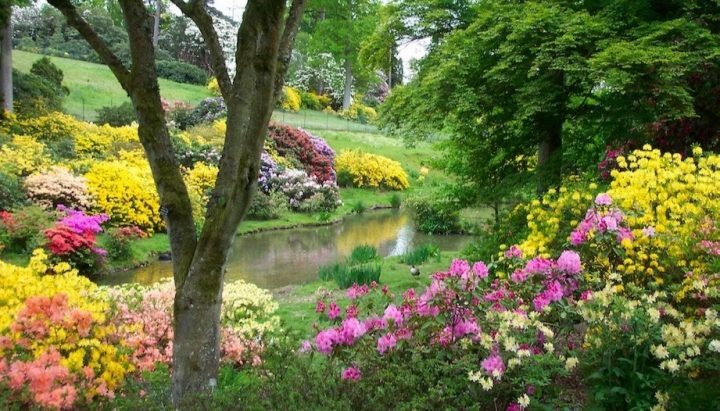 There’s a Magic Wishing Tree, Christmas-themed crafts, soft play and a secret woodland wonderland besides. Beside the cathedral but under a clear roof, enjoy a weather proof skate – this year around a giant Christmas tree. There’s a Christmas market on the same site and you can pop into the cathedral where Jane Austin is buried. Plenty of fun to be had amid the Xmas shopping. 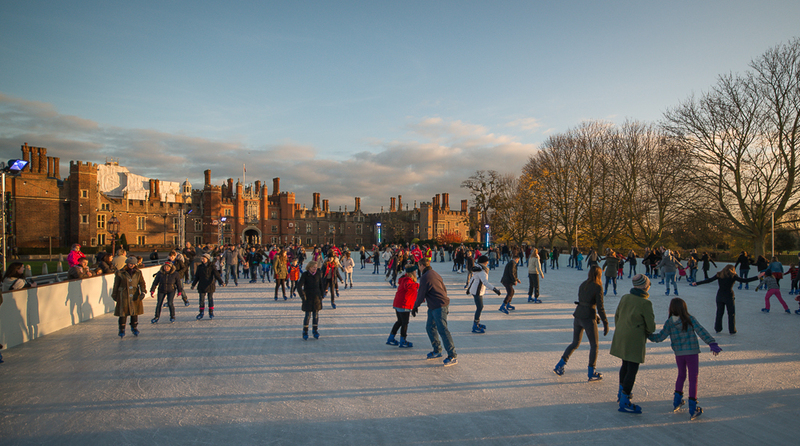 ‘Skate back in time’ they say and you’ve a seriously stunning backdrop for your triple salchow at Henry VIII’s old gaff in Surrey, floodlit with colours for the evening. The cafe serves up pies, rum punches and fizz. Make a day of it with a visit to the palace itself. Combine a visit to the dinos or the Life in the Dark or Wildlife Photographer of the Year exhibitions with a turn on the ice at this Kensington rink. Work in London? You can have your office Xmas party here. 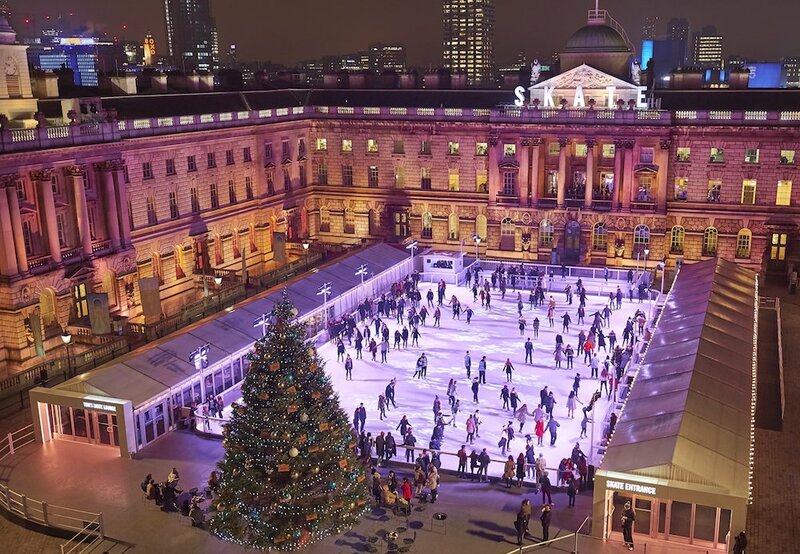 Skate at Somerset House is tying-up with Fortnum & Mason again to give us a Christmas shopping arcade and foodie treats like sweet and savoury fondues in an Alpine-themed lodge. There’s also a Baileys lounge, Skate Late music nights, a chance for kids to skate with Snoopy, and a club night on New Year’s Eve.